Cristiano Ronaldo, with rumours abound of him being rested ahead of the game, started and was Portugal’s protagonist once more. He hit the crossbar with a header before converting a first-half penalty after Danilo had been felled by Tommy Smith. Despite a bright start, Anthony Hudson’s side then conceded again within five minutes, with new Manchester City man Bernardo Silva converting Eliseu’s cross after the left-back’s purposeful run. 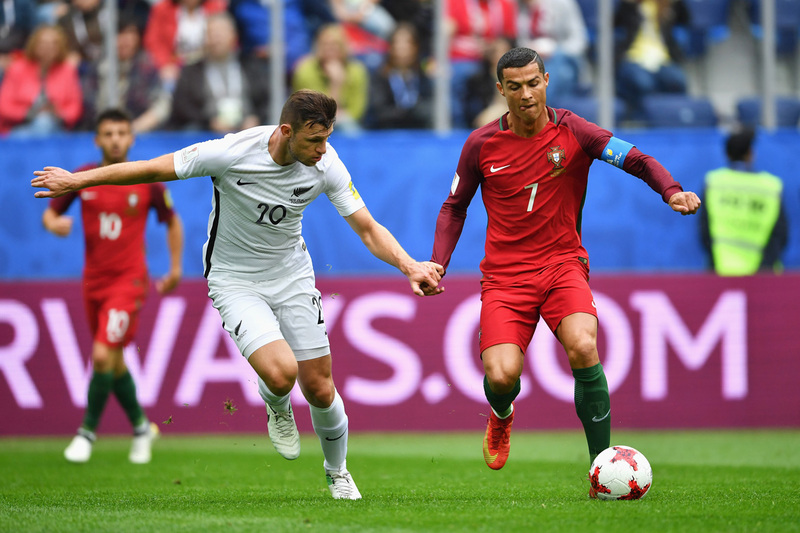 Fernando Santos’s side stood up well to some concerted pressure from the All Whites after the break, with Andre Silva and Nani’s first goals of Russia 2017, the latter coming in stoppage time, serving to rubberstamp all three points. Santos was gracious in victory, praising both the Group A winners and the New Zealand side. “We knew it could be complicated because we had seen New Zealand play Mexico and the problems they caused the Mexicans. So we were forewarned,” he said. Hudson also felt the scoreline was harsh on his team and said that he saw plenty of cause for encouragement in their performance. “Overall, there were some really positive signs in the game,” he said. “We started the game really well, and were the stronger of the two teams. But we had a period in that first half when we allowed them to come into the game and gave ourselves too much to do to get back into it. Topping the group means Portugal will face the runners-up of Group B in Kazan on Wednesday 28 June.